A novelist and playwright whose work is set entirely in Mexico, Josephina Niggli informs readers with her profound knowledge of Mexican customs, traditions, and history. Today she is best known not only for acquainting her readers with the struggles that would bring about the birth of modern Mexico but also for shunning popular stereotypes to capture the true flavor of northern Mexican culture. In doing so, Niggli demonstrates many of the sensibilities that would develop into a full-blown literary movement in the 1960s and 1970s. Mexican and American Traditions. Josephina Niggli was born in Monterrey, Nuevo Ledn, Mexico, on July 13, 1910. Her father, Frederick Ferdinand Niggli, was a Texan who managed a cement factory in Mexico; her mother, Goldie Morgan Niggli, was a violinist. Niggli was brought up in a bicultural environment, learning English and Spanish as well as American and Mexican traditions. The young Niggli came to the United states with her parents in 1913 during the Mexican Revolution. She was homeschooled by her mother until she began attending Main Avenue High School, a Catholic school in San Antonio, Texas. The family returned to Mexico in 1920, but Niggli was sent back when the violence in Mexico continued. She studied at incarnate Word College, where she earned her bachelor of arts degree in 1931. It was during this time that Niggli seriously considered becoming a writer, and she began writing for publication in such periodicals as Mexican Life and Ladies’ Home Journal. Early Literary Successes. Niggli’s early pieces established her as a popular-fiction writer and poet who had won prizes for her earliest efforts—including a fiction-writing prize awarded by Ladies’ Home Journal and a poetry prize for her entry in the National Catholic Poetry Contest. In 1928, Niggli’s father saw to the publication of her first poetry collection, Mexican Silhouettes. The poems in this collection reflect her identity with her native homeland. 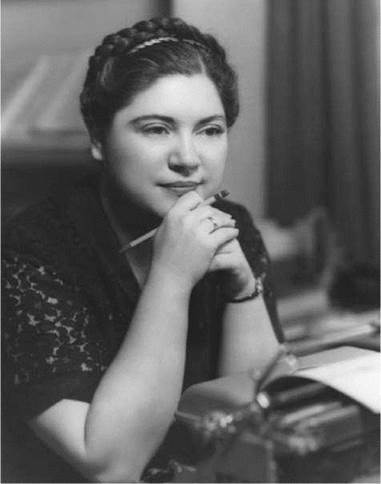 According to biographer and critic Catherine Cucinella in American Women Writers, 1900-1945, Niggli spent four years studying theater and playwriting with the San Antonio Little Theater after graduating from Incarnate Word College. In 1935, she entered the Carolina Playmakers graduate program at the University of North Carolina and received her master’s degree in drama in 1937. Niggli wrote the play Singing Valley as her thesis for the program. Theatrical Successes. In the late 1930s and early 1940s, Niggli saw production of several of her plays. Plays such as The Fair-God, The Cry of Dolores, and Azteca were historical dramas about Mexico. Other plays, including Soldadera and This is Villa! focused on the Mexican Revolution. As her work continued to gain popularity, Niggli’s plays were included in literary anthologies. Teacher and Novelist. Niggli was well on her way as a playwright. With a 1938 Fellowship of the Bureau of New Plays, Niggli moved to the East Coast and began teaching at the University of North Carolina at Chapel Hill. Niggli taught courses in radio, television, theater arts, and speech. In 1945 the University of North Carolina Press published her first and most famous work, Mexican Village, a collection of ten related stories about life in rural Mexico. The book won Niggli the Mayflower Cup Award for ‘‘best book of the year by a North Carolinian.’’ Two years later Niggli saw the publication of a novel, Step Down, Elder Brother (1947). This latter work was so successful that it was featured as a Book-of-the- Month Club selection. Hollywood and Dublin. In 1948 Niggli was called to Hollywood to work on the screenplay for Mexican Village. The movie adaptation appeared in 1953, titled Sombrero. After Hollywood, Niggli was awarded another fellowship, one that took her to Dublin, Ireland. There she visited the Abbey Theatre, where she studied the performances—an effort she would do again in 1954 in Bristol, England, at the Old Vic School. In 1956 Niggli accepted a professorship at Western Carolina University as a drama and journalism instructor. She remained there until her retirement in 1975. The playwright and novelist slowed her efforts, but published two more works. In 1964, she published a young adult book, A Miracle for Mexico; in 1967 she presented the popular guide New Pointers on Playwriting. Niggli died on December 17, 1983 in her home in Cullowhee, North Carolina. Jean Anouilh (1910-1987): Prolific French playwright, his works range from absurdist to high drama. Eudora Welty (1909-2001): American fiction writer, she was widely known for her writings about the South. Adolfo Lopez Mateos (1909-1969): President of Mexico from 1958 to 1964. He was a noted supporter of the arts and education. Local Color: Mexican Village Life. Throughout her drama and fiction, the most significant influence is Niggli’s vivid depictions of Mexico and Mexican life. She reveals knowledge of Mexican customs, traditions, and history. Some of her works analyze the role of women from a bicultural perspective. Other works depict the Mexican Revolution in a realistic way, acquainting readers with the struggles that would bring about the birth of modern Mexico. In Mexican Village, for example, Niggli conveys the rich and varied aspects of life in small-town Mexico. She relies on folktale and lore to enhance the tale. In all of Niggli’s work, village life is extensively revealed. Tradition is seen as an immensely important aspect of village life, and social customs are emphasized as key elements in day-to-day activities. These social values figure as strongly in Niggli’s themes as they do in her style—offering explorations of issues important to the people, those concerning identity, class, and tradition. Niggli has distinguished herself with critics in a variety of media and literary genres. As a playwright, she has won particular acclaim for her one-act works, and as a novelist she has been recognized as a formidable local colorist. The Country of the Pointed Firs (1896), a novella by Sarah Orne Jewett. This work offers the local color of a fishing village community in Maine. For the Major (1883), a novella by Constance Fenimore Cooper. This early work is centered in the United States in the post-Civil War South. ''Gimpel the Fool'' (1953), a short story by Isaac Bashevis Singer. This short story features life in the shtetl, the Jewish village. ''The Outcasts of Poker Flat'' (1869), a short story by Bret Harte. This piece features the pioneering West in the fictional California town of Poker Flat. 1. Research Mexico—its history, geography, culture, and people. Choose one of Niggli’s folk plays, and in an essay, explain how the setting contributes to the story line. How does the setting help to characterize the people? How does the setting affect the mood and theme? 2. Niggli is known to use local color to enhance her stories, including using Spanish words and phrases. Find several examples of Spanish locutions and phrases in Mexican Village. Comment on how this writing technique affects the realism of the story. 3. Niggli often uses gender stereotypes in her work. After reading Soldadera, discuss the significance of Niggli’s portrayal of women. Provide evidence from the text to support your discussions. Champion, Laurie and Emmanuel S. Nelson, eds. American Women Writers, 1900-1945: A Bio-Bibliographical Critical Sourcebook. Westport, Conn: Greenwood Press, 2000. Linhard, Tabea Alexa. Fearless Women in the Mexican Revolution and the Spanish Civil War. Columbia: University of Missouri Press, 2005. Shirley, Paula W. ‘‘Josephina Niggli,’’ Dictionary of Literary Biography Yearbook. Detroit: Gale, 1980. Adams, Mildred. Review of Mexican Village, New York Times Book Review (December 16, 1945): 16. Frederick, J. T. Review of Mexican Village, Booklist 42 (October 15, 1945): 56. Jackson, J. H. Review of Mexican Village, Weekly Book Review (October 7, 1945): 5. Martinez, Elizabeth Coonrod. ‘‘Josefina Niggli: Daughter of the Mexican Revolution,’’ Americas 59 (November-December 2007): 46. Prescott, Orville. Review of Mexican Village, Yale Review (Winter 1946): 384. The Handbook of Texas Online. Niggli, Josefina Maria (1910-1983). Retrieved June 4, 2008, from http://www.tshaonline.org/handbook/online/articles/NN/fnitt.html. PBS. Josefina Niggli. Retrieved June 4, 2008, from http://www.pbs.org/kpbs/theborder/history/timeline/18.html. Voices from the Gaps. Josephina Niggli, 1910-1983. Retrieved June 4, 2008, from http:// voices.cla.umn.edu/vg/Bios/entries/niggli_ josephina.html.